In response to ongoing requests from snowmobilers in Massachusetts, SAM has implemented significant changes to better serve our members. 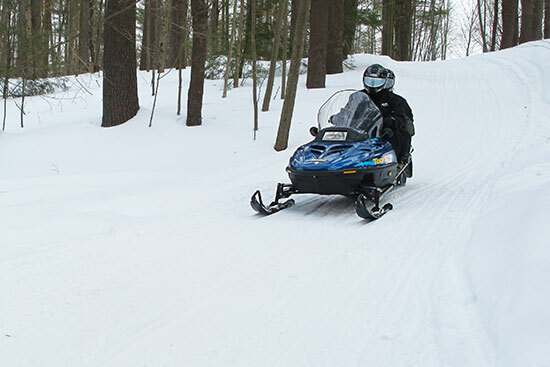 At the May meeting of the Snowmobile Association of Massachusetts, the Board of Directors voted on a number of key proposals setting in motion a policy to move our organization forward with a unified dues structure and an online trailpass sales system. The decision was to adopt a Minimum Advertised Price (MAP) for all trailpass sales. Starting this season, 2016-2017, the MAP for the combined SAM trailpass and club membership will be $55 for early-bird, through December 15. After that date the regular season fee will be $70 per sled. The Executive Committee is actively investigating options for online trailpass sales. The goal is to empower the clubs with the ability to sell memberships and trailpasses online, either through the club’s own website or the club page at sledmass.com, or both. This will be a major convenience for clubs and our members. These actions will eventually result in a streamlined trailpass acquisition process for the clubs. Elimination of all club paperwork associated with obtaining and processing trail passes and memberships. No upfront club money to buy trail passes. No trailpass books to manage and distribute, eliminating lost trailpass books and late fees. Automatic generation of membership lists for clubs and SAM. Automatic member subscription fulfillment for SAM’s magazine. Monthly trailpass payout checks from SAM to clubs. 24/7 online trail pass sales. The possibility of “buy and ride” with a self-printed temporary trailpass until official sticker arrives via U.S. Mail. The new pricing fee is effective immediately. We hope to have the online sales implemented before January but that could change. This season will feature a mix of traditional hand-written trailpasses and online access. The action by the Board of Directors took great vision and will improve the viability of snowmobiling in Massachusetts. SAM’s efforts are being closely coordinated with the streamlining of trailpass sales in other states and Canadian provinces. Stay tuned for more exciting details become available.